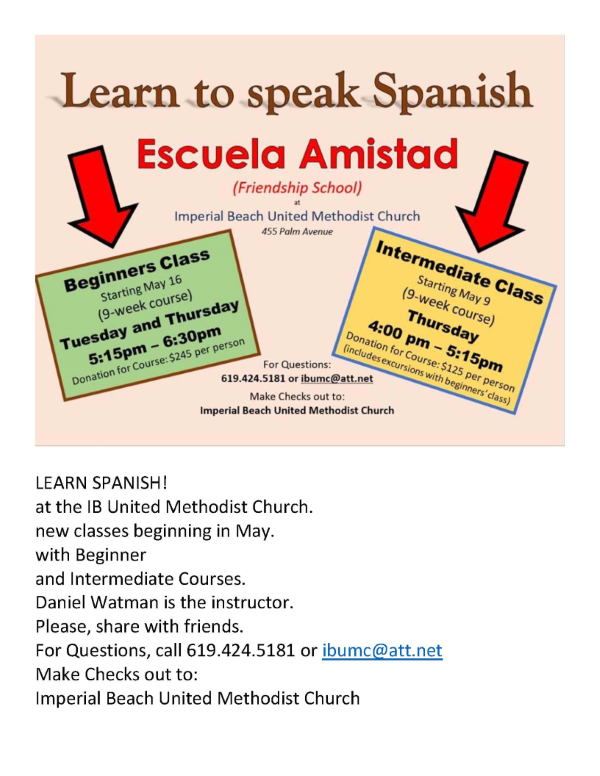 Learn Spanish at the IB United Methodist Church in May! New classes beginning in May with Beginner and Intermediate Courses Being offered! Daniel Watman is the instructor.